New label: Fluff accessoires by artist Claudette Barjoud! 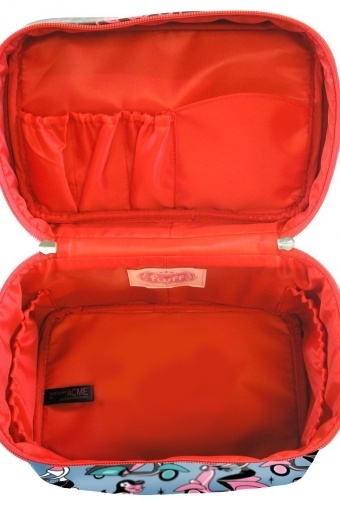 Super cute medium size beautycase Fru Fru. 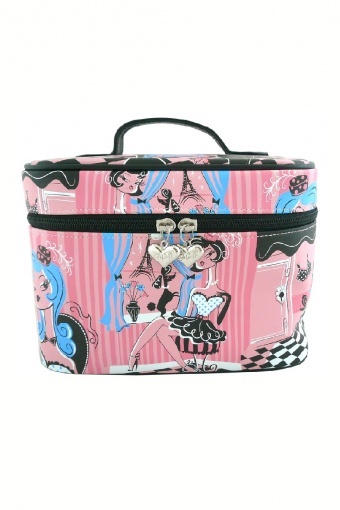 A glamourous Paris design print on vegan friendly faux leather with black satin interior. Cute Fluff Heart Charm zipper pulls. Comes with matching handmirror, so cute!